Scene 1: While getting dressed for in-flight combat, the Top Gun pilots all say a silent prayer in the locker room. Their uniforms hang from their lockers, and their helmets sit at the bottom, just within view but still the centerpiece of the shot. 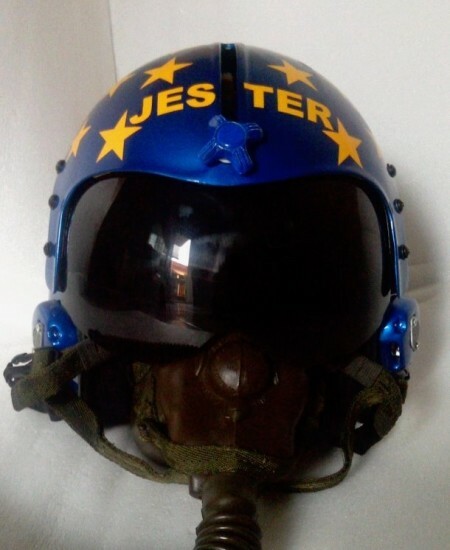 Scene 2: As the crew members walk towards their F-14s not knowing what to expect in the big blue sky, they each clutch their personalized helmets and climb into the cockpit. 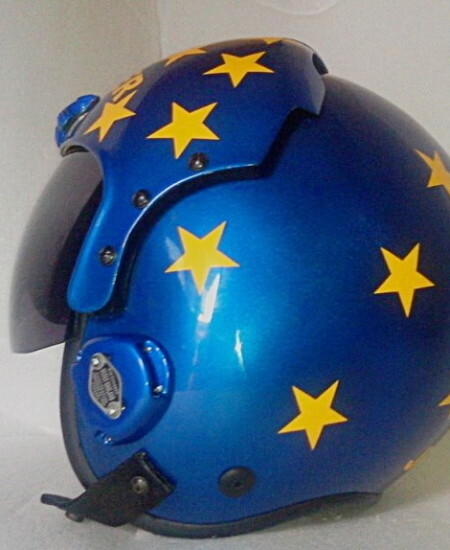 Scene 3: As the camera cuts to the pilots in the middle of a dogfight, all you can see is their helmets with their names emblazoned on the front: Maverick. Ice Man. Slider. Venom. These call-signs are as much a part of each pilot’s personality and make-up as the supersonic fighter jets they each fly. Uniforms are meant to remove every type of personalization. Although the army uses different uniforms for different ranks, uniforms are the same for everyone within the same rank. The same applies to other armed forces. Schools use uniforms to standardize school wear across students who have different backgrounds, lifestyles and languages. And flight crew and service staff have uniforms to indicate to customers that the staff members belong to a specific company or department and that they are there for specific functions. With all of the emphasis on uniformity across all these different jobs and roles, one thing stands apart like no other: the helmet. The helmets worn by fighter jet pilots are perhaps the only thing that sets each person apart from the rest of the team. 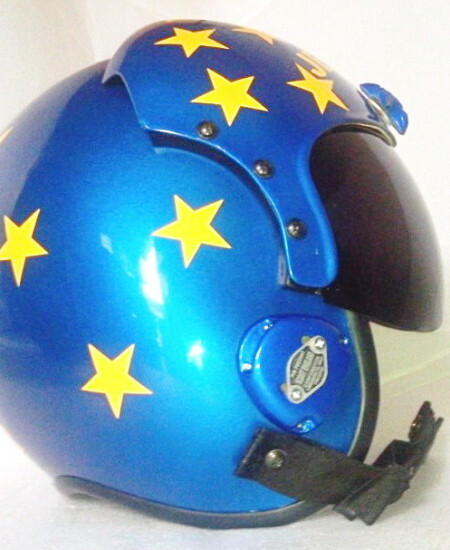 Helmets are meant to be different, daring, and bold. Simply put, helmets are the one item of the uniform that is expected to be different. With this background in mind, we have developed exact replica helmets for Top Gun fans and fighter jet enthusiasts the world over. With screen-accurate helmets, you can add a whole lot of oomph to your getup, or just have the helmet as part of your collection. The helmets have everything that those in the movie have: the colors, the streaks and designs, even the visors and edges are all just like in the movie. Padded with comfortable cushioning and ready for use right out of the box, the only difference between the movie helmets and our state-of-the-art replicas is the wiring, breathing and communications equipment that fighter jet helmets obviously have. Other than that, there are no discernable differences whatsoever, and you wouldn’t be able to tell them apart if someone asked you to identify the replica from the original. These helmets make great gifts, and are totally customizable. 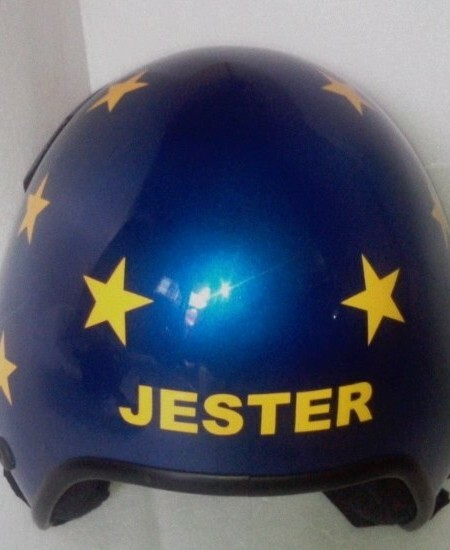 The next time you want to send someone a gift that will stand out from the rest, consider a Top Gun Jester Replica Helmet. Comfortable and functioning interiors make the helmet a great piece of equipment to wear, and the totally customizable name tag that shows up on the front is exactly the kind of thing that people love to see their name on. Whether you want to write Rebel, Big G or something as simple as John Smith, our replicas are sure to wow both the crowd as well as the wearer.